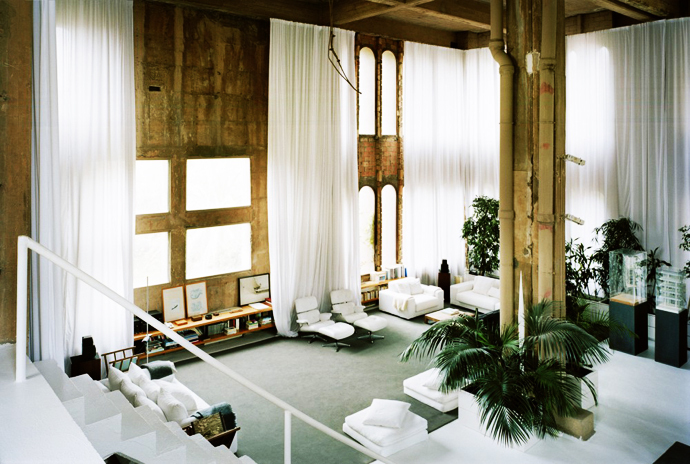 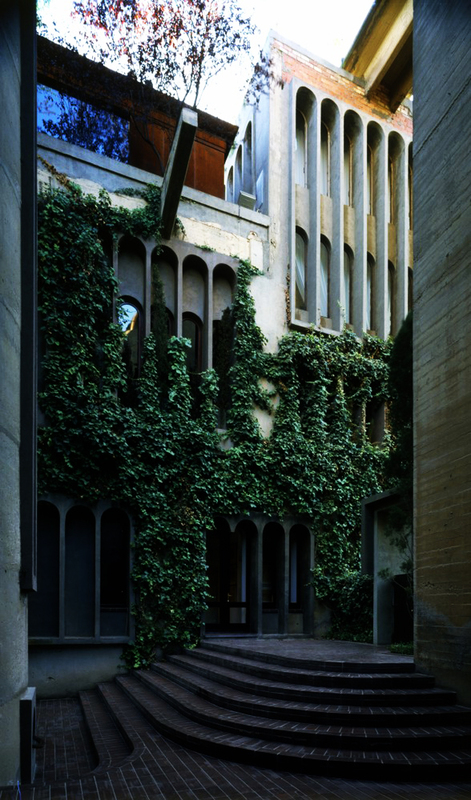 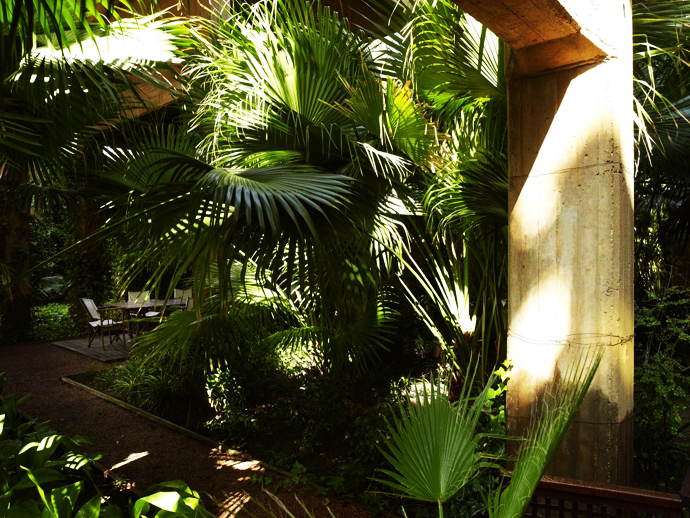 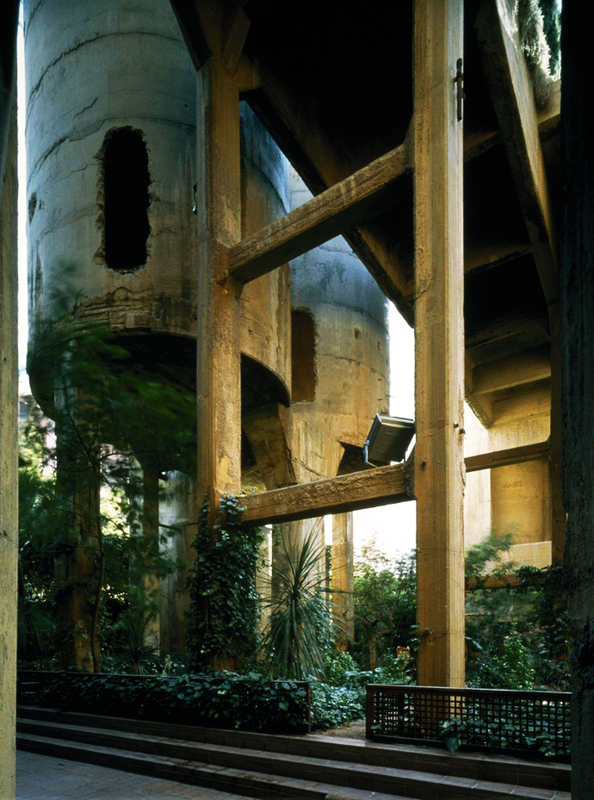 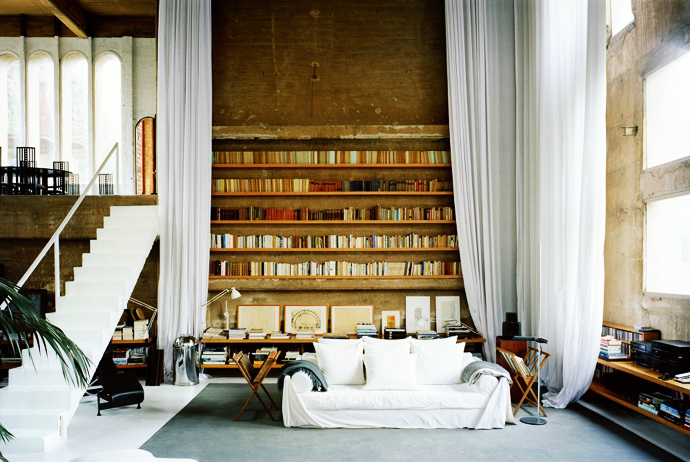 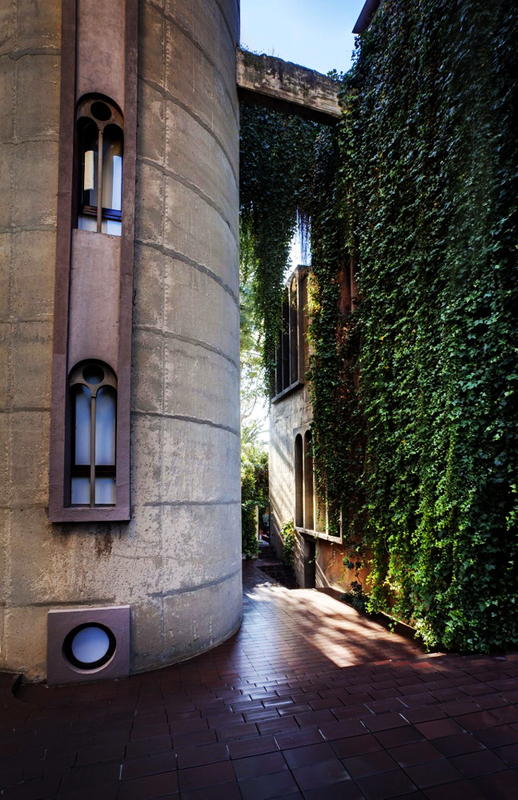 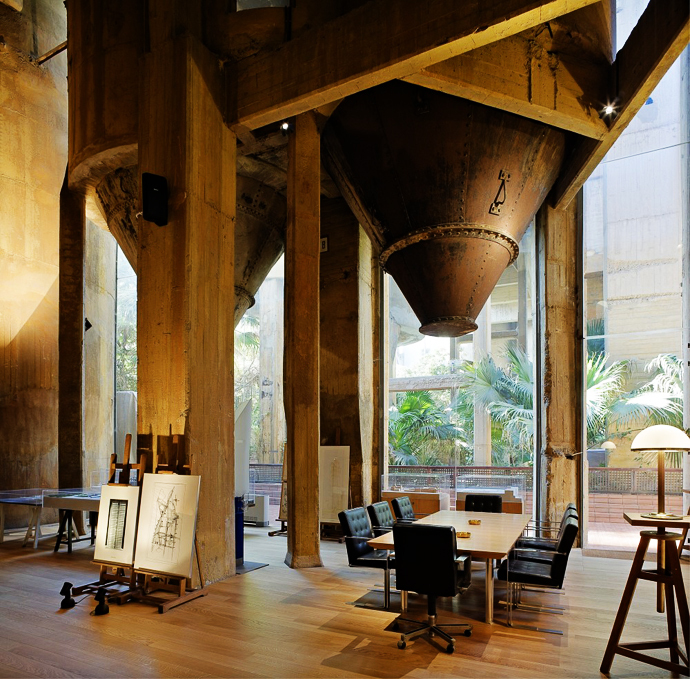 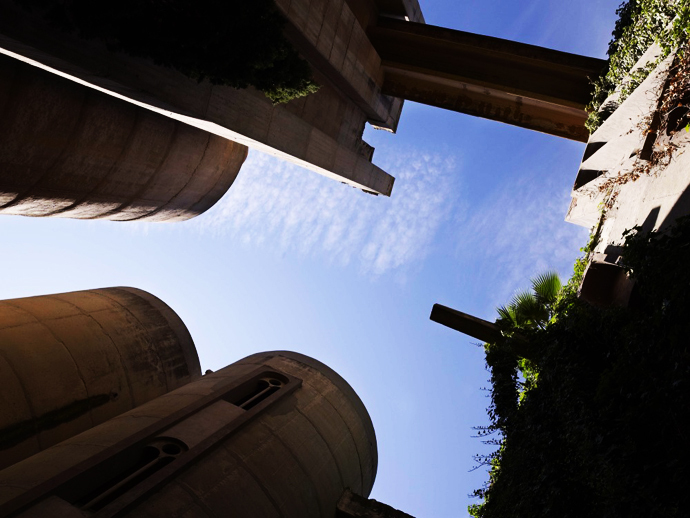 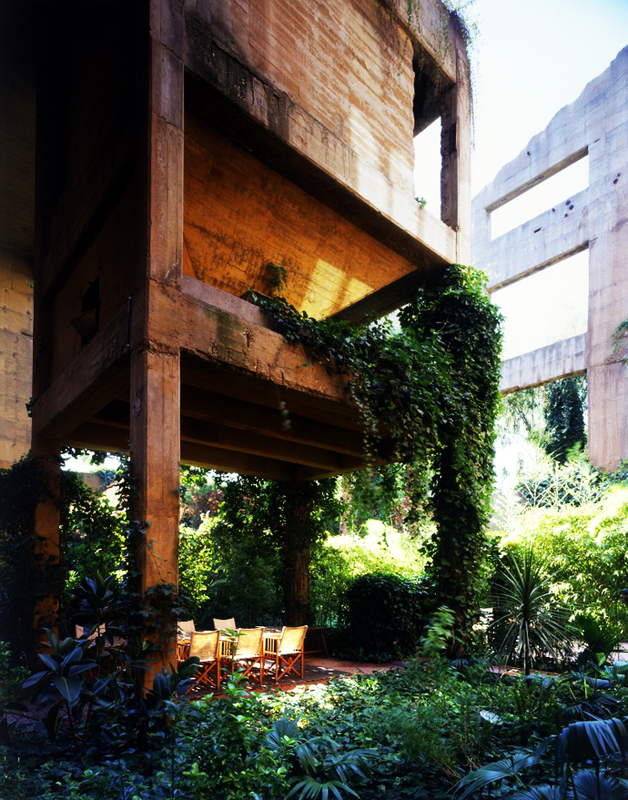 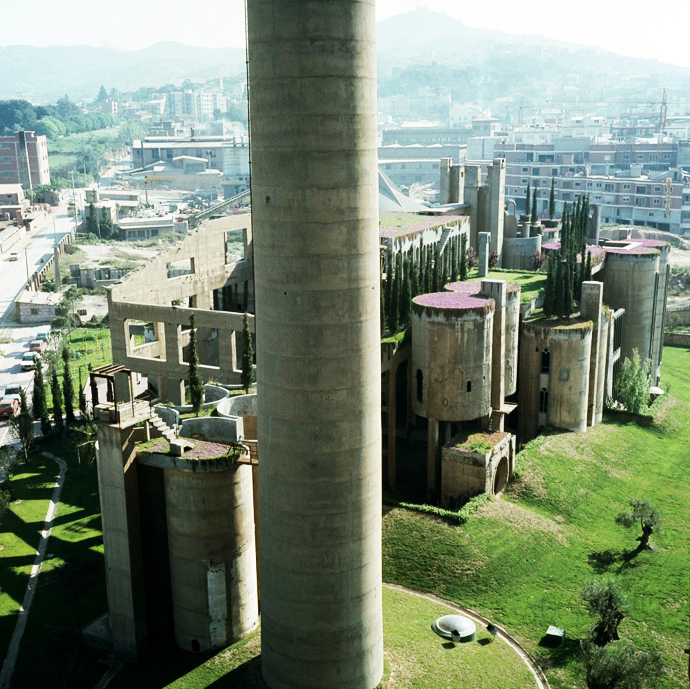 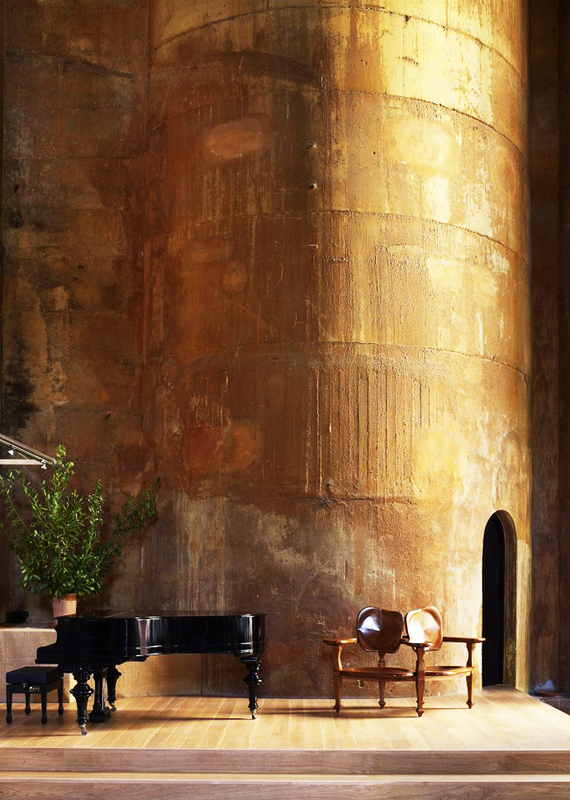 In 1973 Ricardo Bofill found a disused cement factory, an industrial complex from the turn of the century consisting of over 30 silos, subterranean galleries and huge machine rooms, and he decided to transform it into the head office of Taller de Arquitectura. 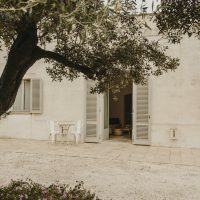 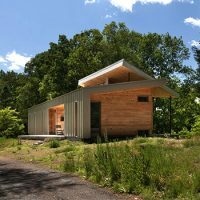 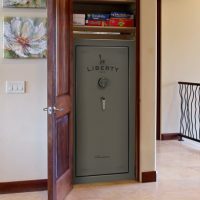 This project is evidence once again that an imaginative architect may adapt any space to a new function, no matter how different it may be from the original one. 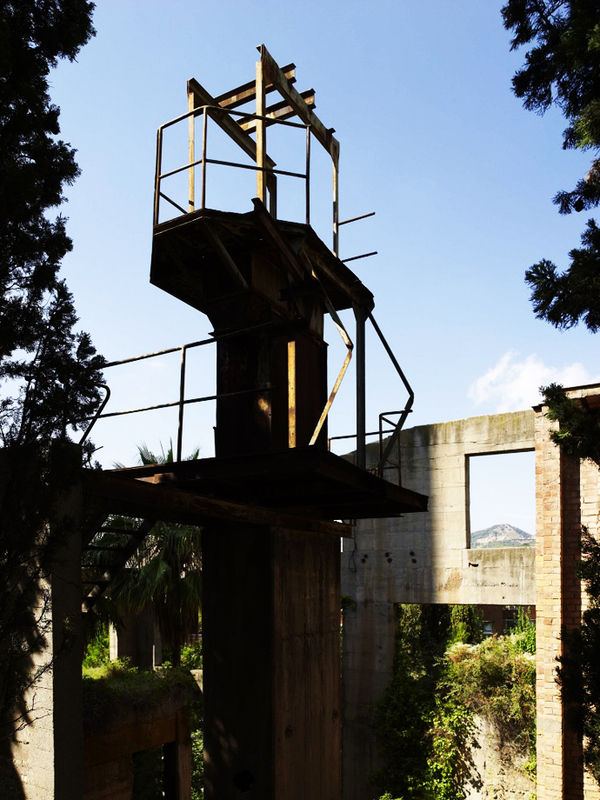 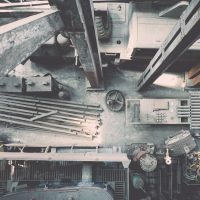 The factory, abandoned and partially in ruins, was a compendium of surrealist elements: stairs that climbed up to nowhere, mighty reinforced concrete structures that sustained nothing, pieces of iron hanging in the air, huge empty spaces filled nonetheless with magic. 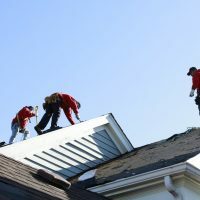 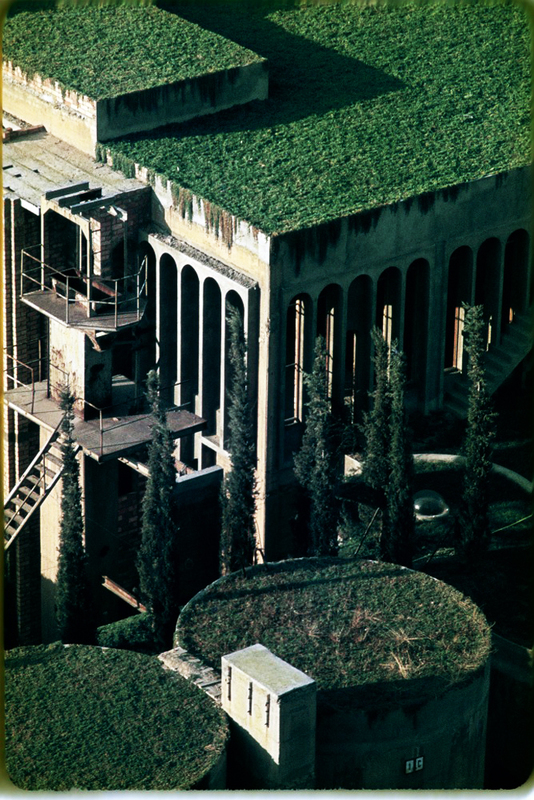 Once the spaces had been defined, cleaned of cement and encompassed by new greenery, the process began of adaptation to the new program. 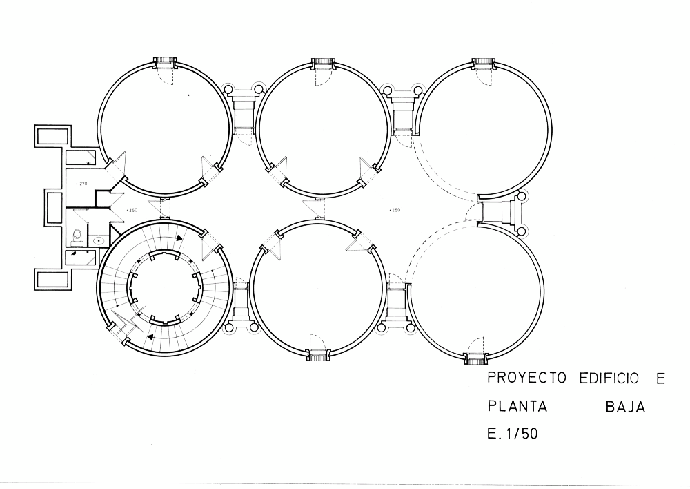 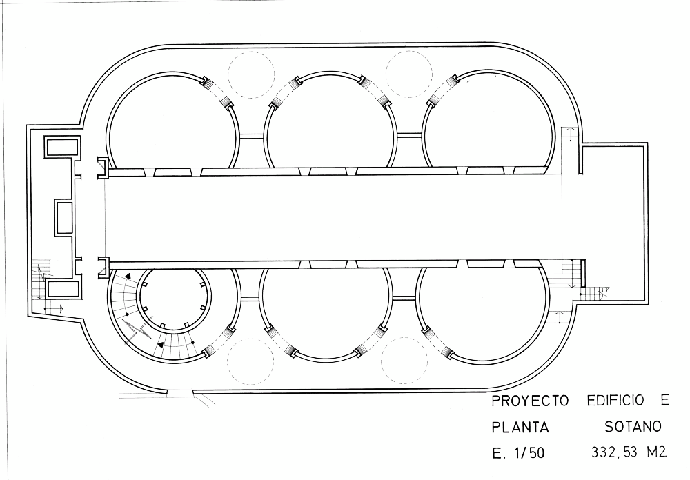 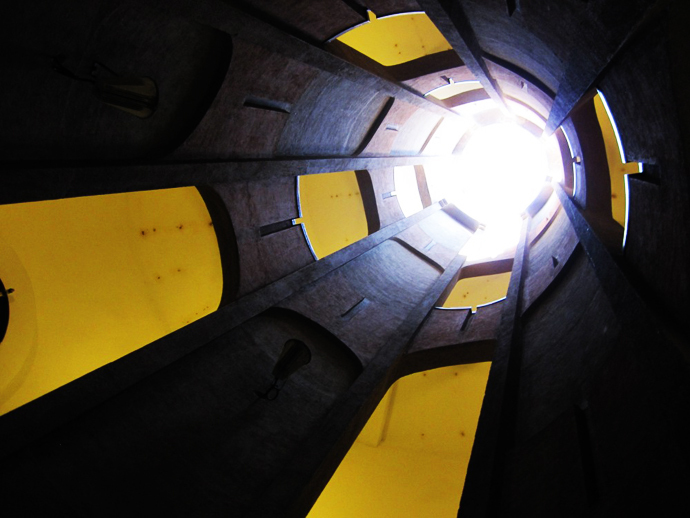 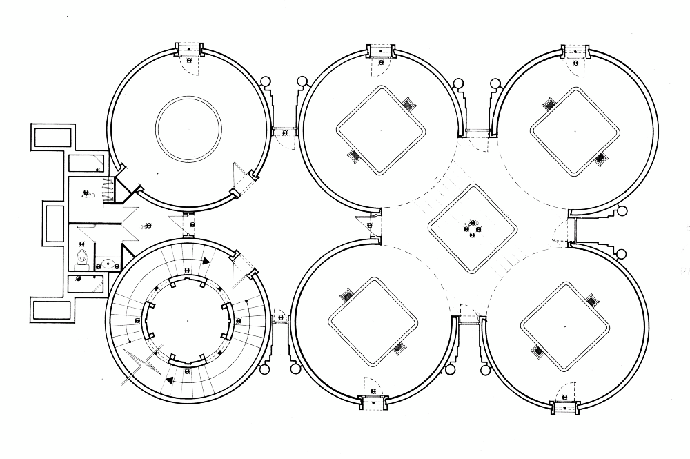 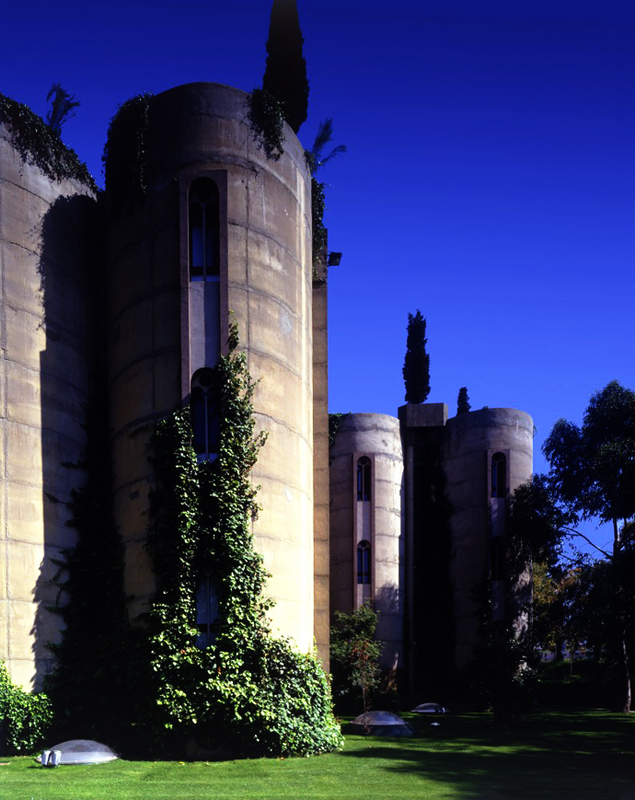 Eight silos remained, which became offices, a models laboratory, archives, a library, a projections room and a gigantic space known as “The Cathedral”, used for exhibitions, concerts and a whole range of cultural functions linked to the professional activities of the architect. 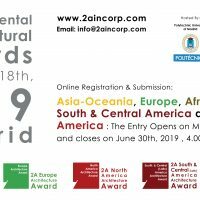 The renovated construction incorporates various languages from history of Architecture, a cultured language in opposition to vernacular architecture with windows, doors, stairs and false perspectives and applied them to the exterior walls and some interiors. 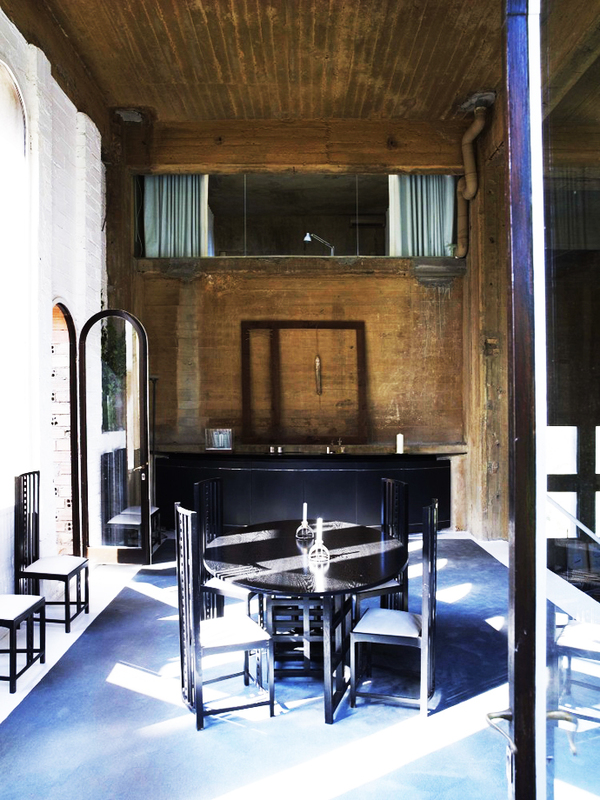 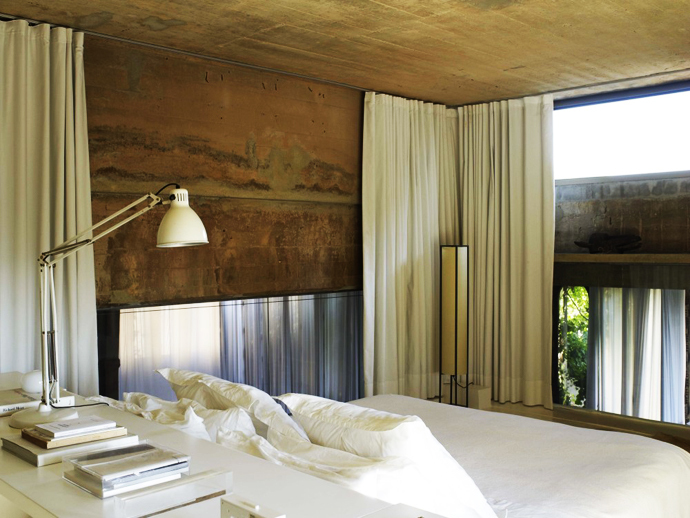 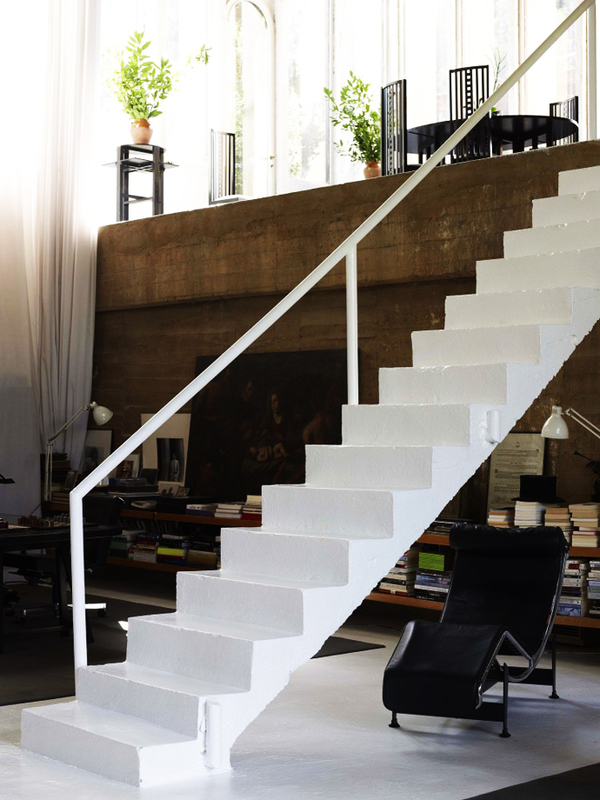 Slowly with the help of Catalan craftsmen the factory was transformed but will always remain as unfinished work. 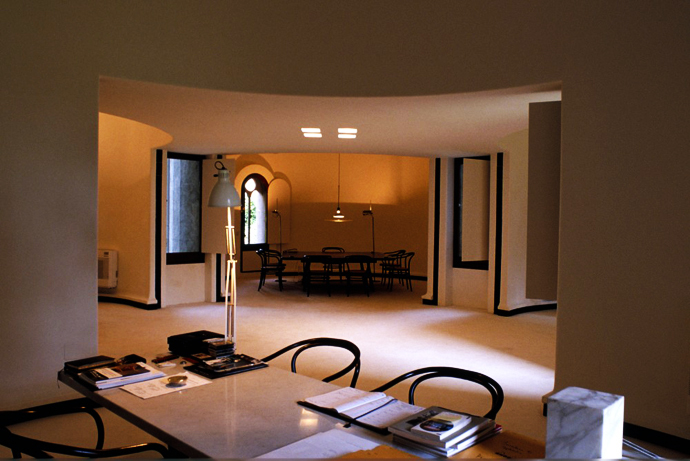 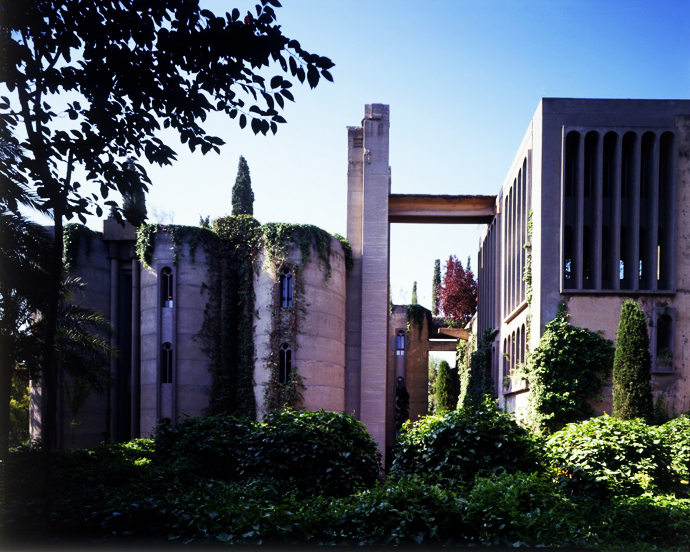 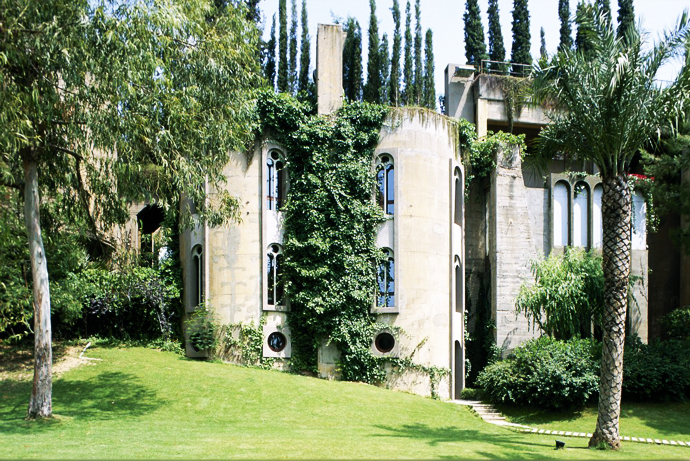 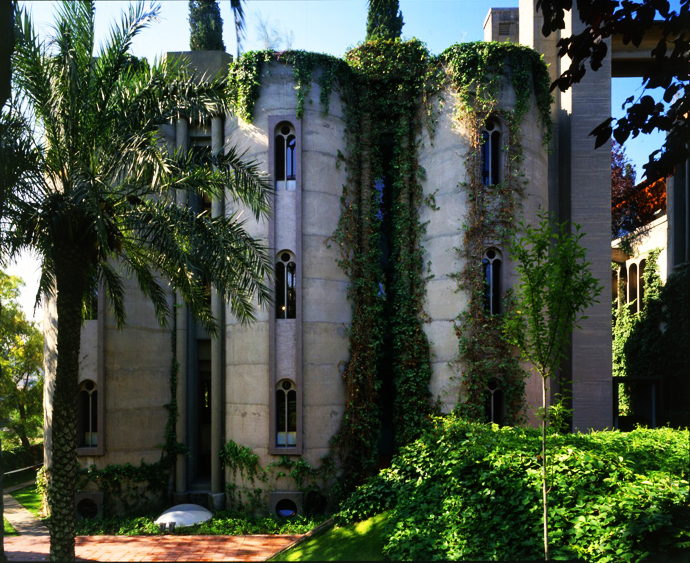 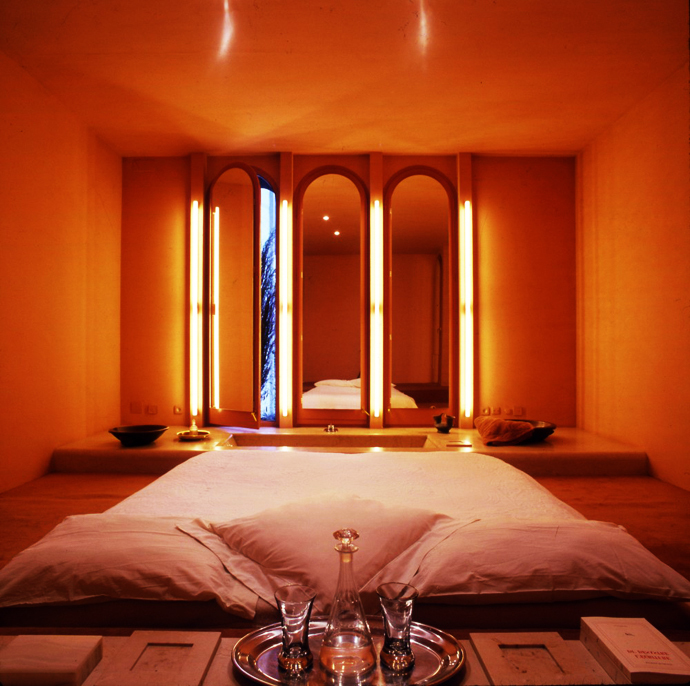 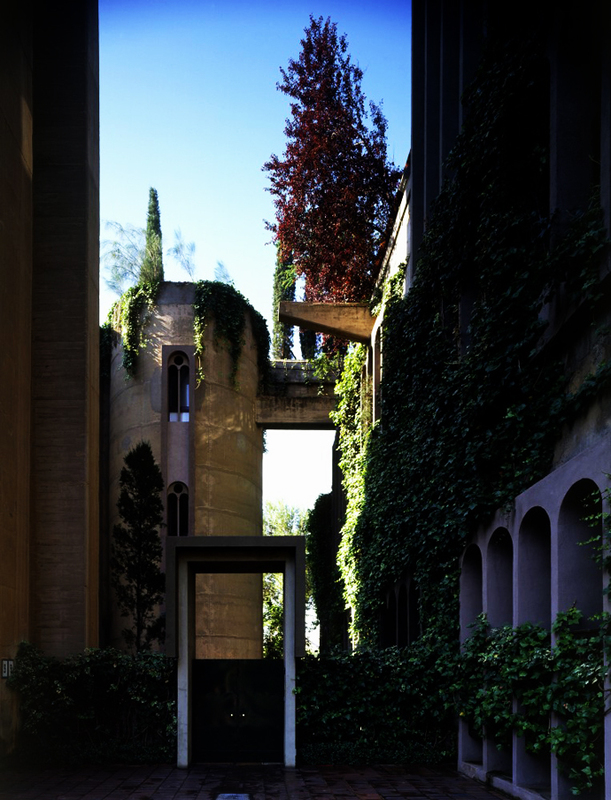 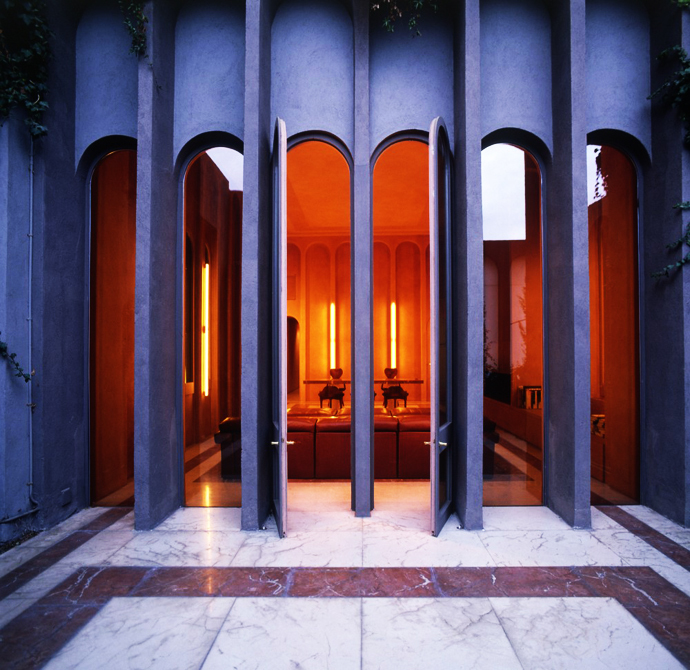 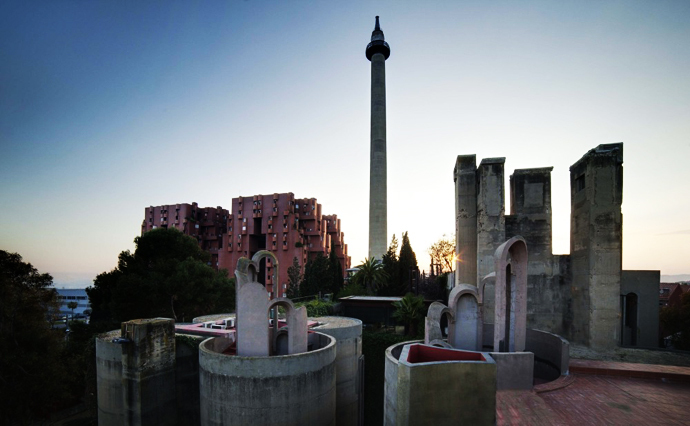 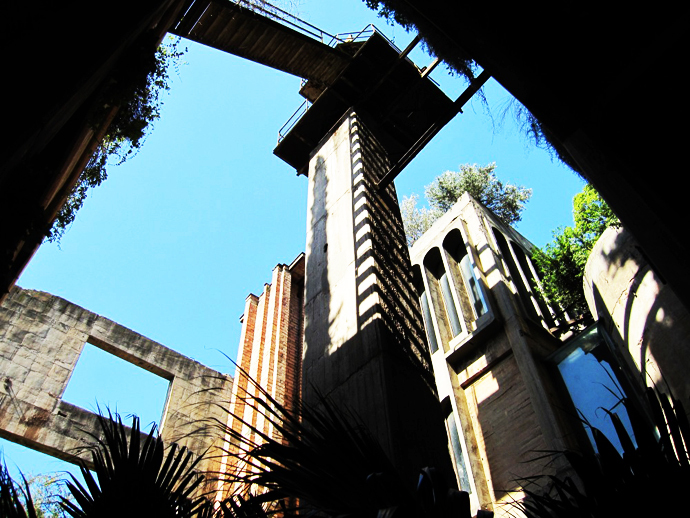 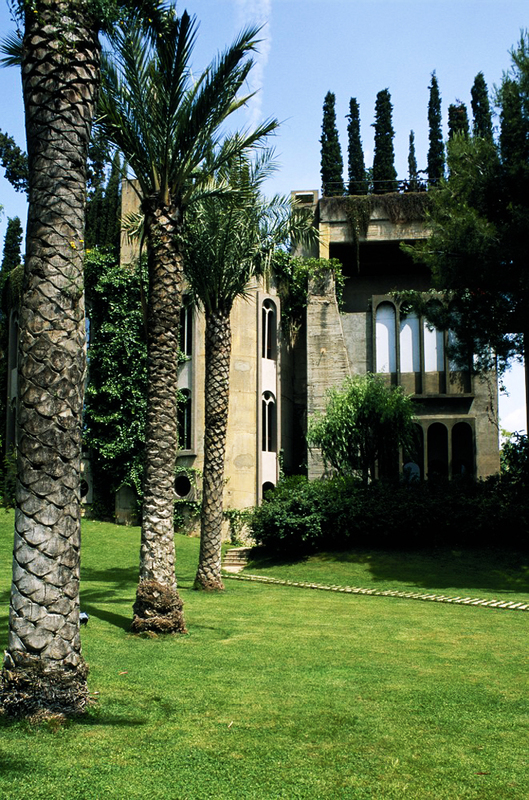 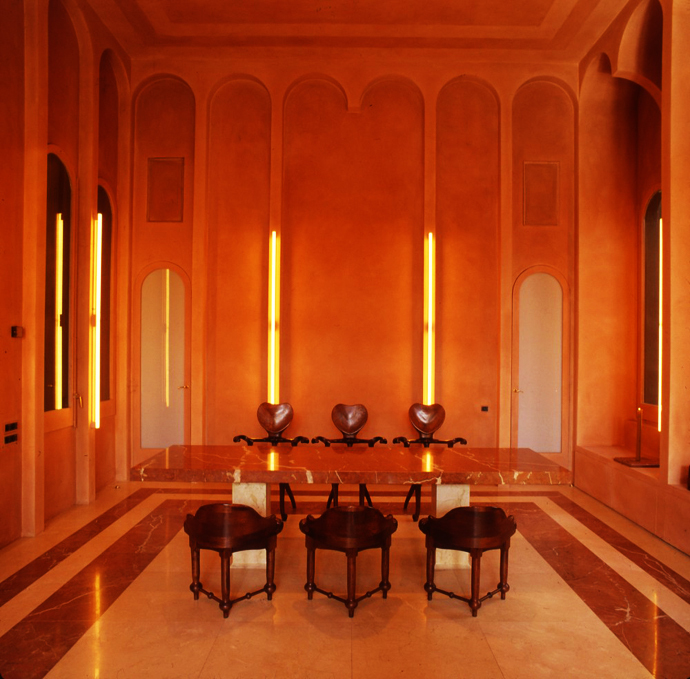 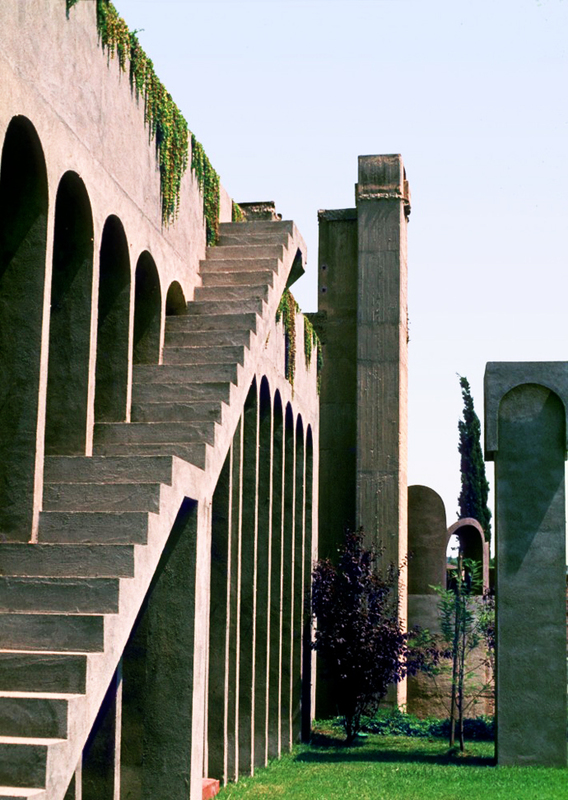 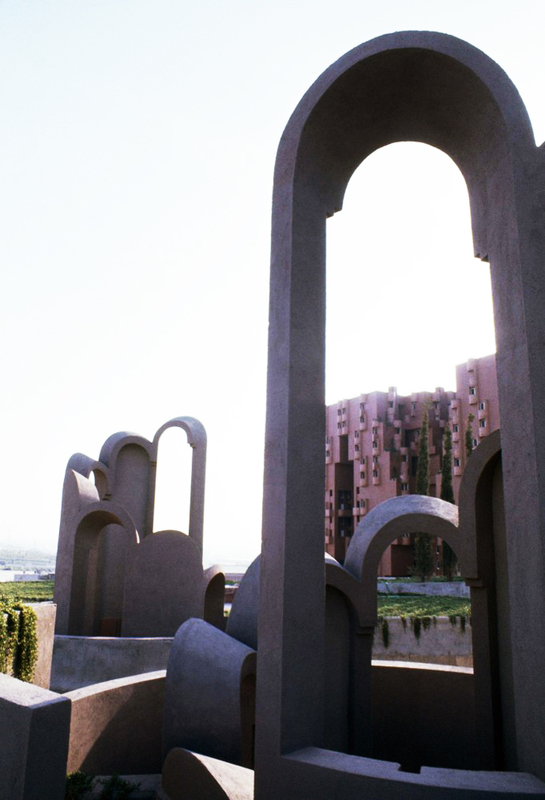 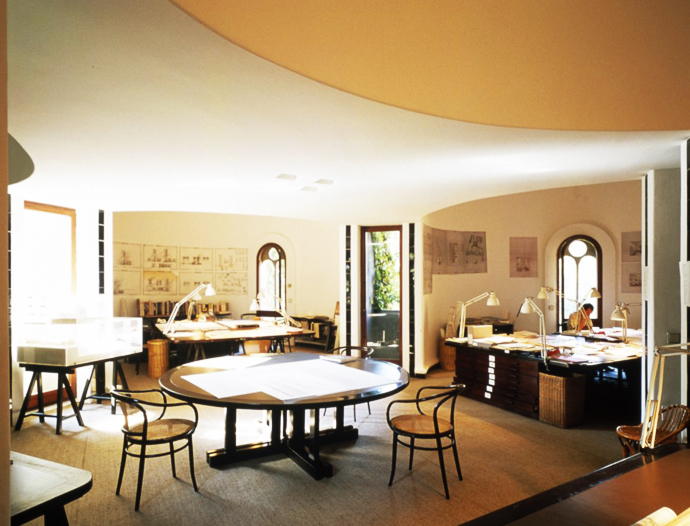 Ricardo Bofill currently lives and works in The Cement Factory better than anywhere else, it is the only place where he can concentrate, associate ideas in the most abstract manner, and finally creates projects, and constitutes a specific vocabulary for his architecture.